Sipping coffee and munching on some avocado toast is what I was doing when I was first introduced to the raw, funny and strong woman that is Morgan Craig-Broadwith. I was at an Ace Class event called Toast where a panel of women were talking about what it takes to do all the things, and I was blown away by Morgan’s bold honesty married to her optimism of growth. So… I knew I had to interview her! 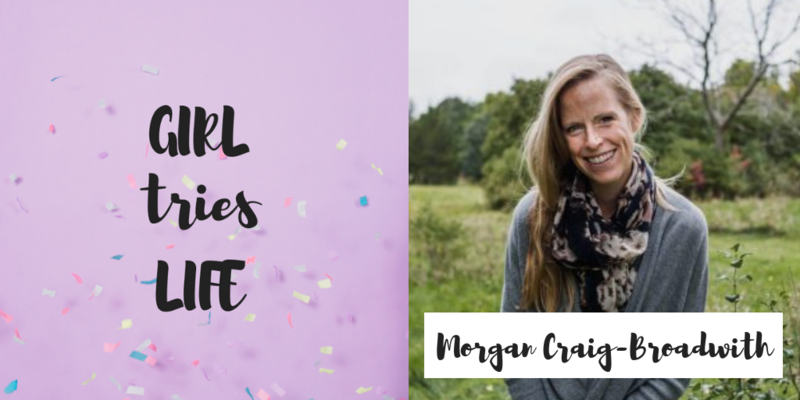 In this interview, Morgan and I talk about her experience as a Calgarian going through the oil and gas layoffs, her business Live It Active, the importance of her mindfulness practice and so much more. If you want some real talk about the challenges of being an emotionally resilient woman… this is the interview. Or listen on Apple Podcasts, Stitcher, Spotify, Google Play or Podbean. This podcast is a proud member of the Alberta Podcast Network, powered by ATB. If you’re a small business owner in Alberta, check out the opportunities provided through ATB’s Entrepreneur Centre. And if you’re debating what to listen to next, check out Alberta Podcast Network’s snazzy new homepage that breaks us down by theme. Big thanks to Morgan for joining the podcast. Again you can find her at Live It Active and over on Instagram. Weekly Newsletter & Free eBook! Follow Girl Tries life on Social media sites. What Happens When Nothing Goes to Plan? © 2019 Girl Tries Life. All Rights Reserved.